Insector Haga is the Japanese champion at Duel Monsters (Magic and Wizards in the original manga), hailing from East Japan. He is a cunning trickster who has no qualms about cheating or misconduct in or around his duels. Despite this, he is actually a very talented duelist who plays with a deck of Insect cards. 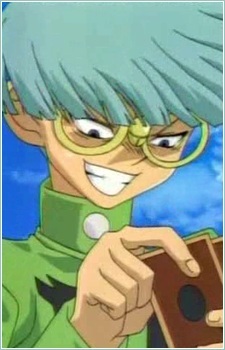 Haga develops into a rival of Yugi Mutou. He is jealous and adores insects, for his deck is mainly insect-type monsters and insect-related magic and trap cards.